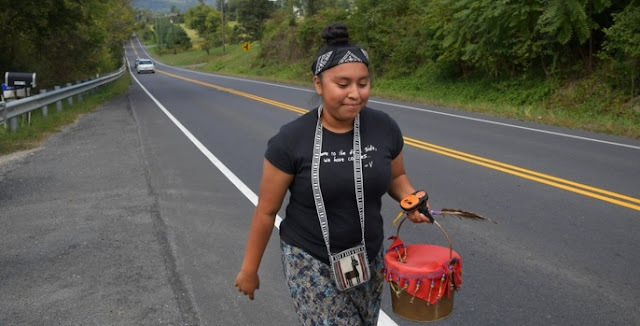 In a 13-day relay, Davila-Day and dozens of fellow participants in a Native American ritual are walking the entire length of the Potomac, praying for its return to unpolluted health. 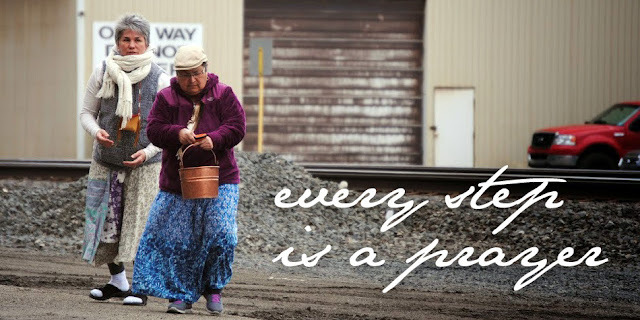 They will speak to the water, sing to the water, and pray for the water. The Potomac River Water Walk began with a water ceremony — a tradition in the Ojibwe tribe — at Fairfax Stone, the 18th-century marker now located in a West Virginia state park that marks the source of the Potomac River. Participants took water from the clear pool at the start of the river and filled the copper vessel. 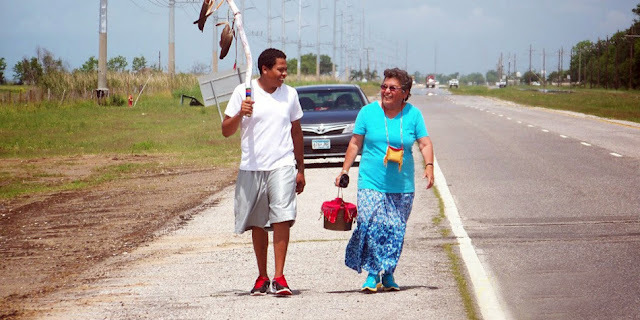 Starting on Oct. 7, a band of Native Americans and supporters began walking that vessel all the way from the river’s clean source to its significantly more polluted end. “We want the water to have a taste of itself. This is how you began, and this is how we want you to be again,” explained Sharon Day, the organizer of the walk and Reyna’s great-aunt. The walkers made plans to pass through the District on Saturday — walking right past the White House — and to reach the Chesapeake Bay on Wednesday, Oct. 19. There, they’ll pour the clean water into the polluted bay. “Ni guh izhi chigay nibi onji,” Barb Baker-LaRush says as she grabs the vessel. 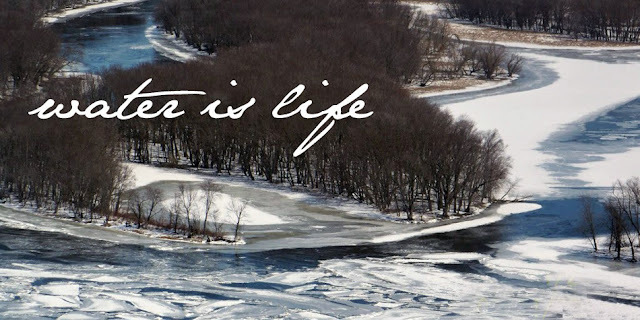 I will do it for the water, the words mean in Ojibwe. 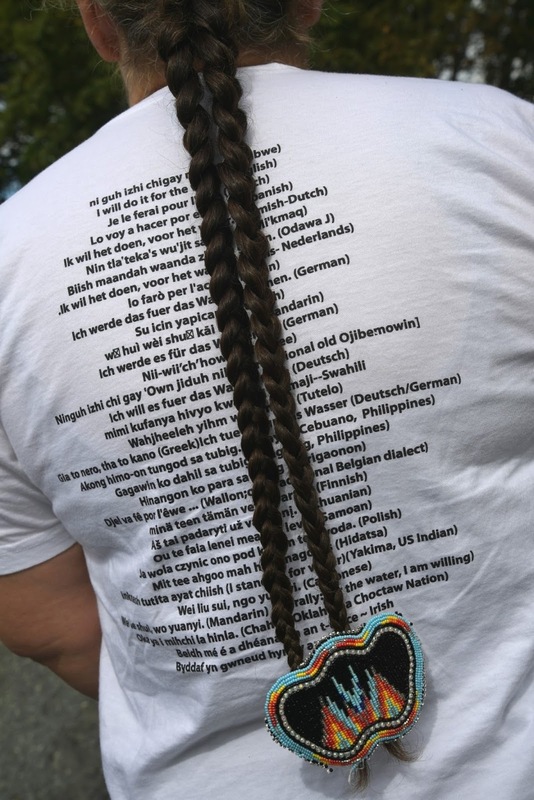 They’re written on the back of her shirt in more than 30 languages. 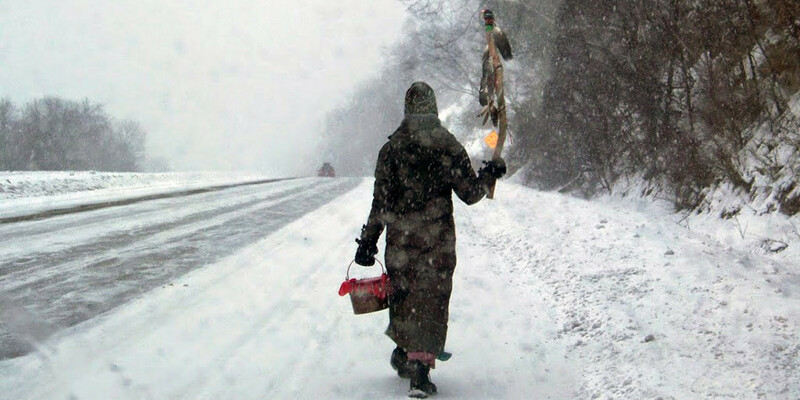 She speeds down the shoulder of Route 9, barely wide enough for a person to walk. They’ve recently crossed from West Virginia into Virginia. Responses to "Native Americans carry Potomac water on prayerful, 400-mile journey"
I am Humbled by All your Efforts! Tks! A'HO! 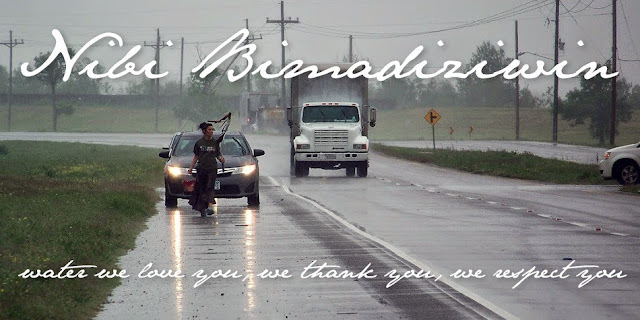 #MniWiconi!